Many of you who have been following CiteAb since its early days will remember when we started out back in 2012, with around 500,000 antibodies and eagerly anticipating the day we’d hit our 1 million milestone. CiteAb was officially launched to researchers in March 2013, and by May 2013 we were listing 1 million antibodies and had made connections around the world. We won a regional ‘Best Startup’ award in 2013 and in January 2014 we spun out of the University of Bath and became CiteAb Ltd. By July 2014, just 18 months after starting out, we announced that we had listed our 2 millionth antibody, and in response to user feedback we introduced custom antibldy listing as the antibody wanted by a user might not be available. Today, CiteAb has 2.1m antibodies, with over 620k citations. We list antibodies from 119 suppliers from around the world, speaking to them all regularly for updates to keep our data fresh. We get visitors from researchers in over 110 countries a month, and 190 countries in total to date! Here at CiteAb we now have six people (and one CiteHound) working from our central-Bath offices. We’re really excited about the plans we have in our near future, and we wanted to share some of them with you today. We’re soon to launch an all new CiteAb – don’t worry, all of the functionality and the huge database of antibodies and citations you’re used to will remain, and we’ll still be listing all antibodies for free and ranking them impartially. However, we’ll have a completely new, fresh design that will make it easier for you to find the antibodies you want. We’re hoping to launch the new designs over the summer months, so keep an eye out and do let us know what you think. As always here at CiteAb, your views are really important and we love it when our users get in touch and share their thoughts and ideas with us. We’re making some significant investments at the moment in the technologies to improve the experience our users have from CiteAb. This includes improving our technology to process large data sets, and to mine new data – ensuring we have the most up-to-date information available about every antibody we list. We’re also working on some new tools for researchers – an antibody dilution calculator and a mass molarity calculator. The antibody dilution calculator tool figures out how much antibody and buffer a researcher will need to reach the desired antibody concentration and volume for their experiment. The mass molarity calculator tool calculates the mass of compound required to achieve a specific molar concentration and volume. Do let us know what other tools might be useful to you! Our team at CiteAb has some great plans for collaborative events over the coming months with some of the biggest or most influential publishing houses in bioscience. From live discussions on key topics, to exciting initiatives to enhance research activities (like the F1000 Antibody Validation Collection), we’ll be announcing details very soon and hope that many of you will be able to get involved. At CiteAb, we spend every day trying to make it easier for you to do excellent research, and we list all antibodies and antibody companies for free to ensure your have access to the most thorough database of products available. We hope that our plans for new innovations, tools, collaborations and to improve the existing CiteAb service will further contribute to this. However, we are also here to help companies in the life science sector with use of our amazing datasets. Our data comes from citations not webtraffic and is themost comprehensive and unique view available of industry wide acitvity. From the data generated through CiteAb we are able to tell which countries are investing most in bioscience research, which companies are seeing growth or decline, which antibodies are most successful and which areas of bioscience research are seeing growth. Find out more about our unique datasets and how they might help your business. 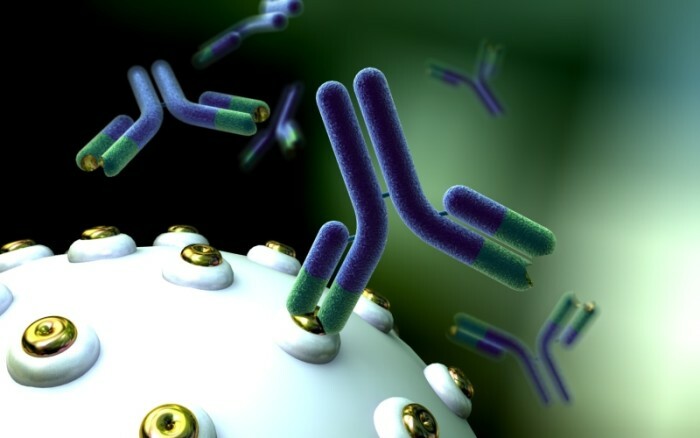 We also offer antibody companies a number of other services, from enhanced profiles, citation streams, and custom antibody listings. And as ever, remember we love to hear your ideas! If there is data you’d like to see, collaborations you’d like to explore, or anything else which you think would help us improve CiteAb please do get in touch with us. – David and the CiteAb team.